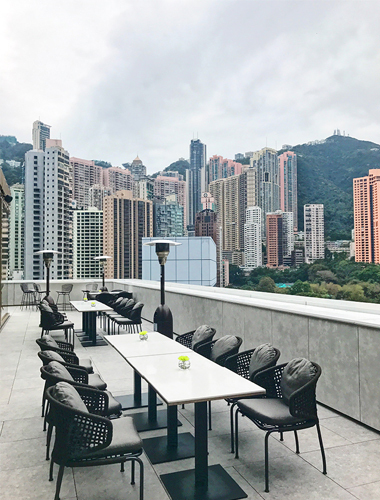 Whether you’re a local or traveling into Hong Kong for the first time, we got you covered for the GRAM. 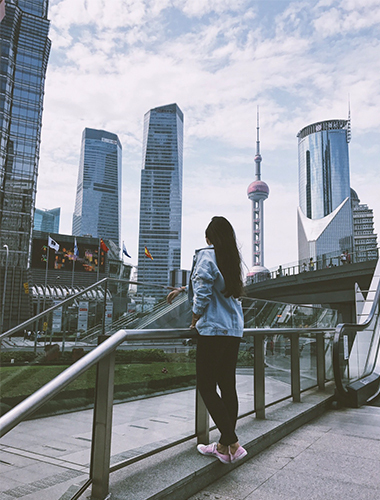 Eatravelovegram explores his favorite districts & cool spots to capture candids, colorful buildings, urban shots & more! 1. Aqua Luna at Central Ferry Pier on Sunset: One of my favourite attractions of Hong Kong. A gorgeous boat ride from the Island to Kowloon side with stunning views of the skyscrapers that make Hong Kong. Catch the ride before sunset and you’ve nailed it! 2. 852’s Observation Wheel: Another iconic part of this city that I love to capture. Now is the best time to shoot it with the AIA carnival going on next door until the 17th of February. 3. The Wheel at Night: The wheel also makes for awesome pictures throughout the evening, as it glows in red. Captured with HKG’s second tallest building: 2IFC (1,364 ft.). 4. Central District: The Central District is great for Instagrammers. Pictured is the Bank of China Tower on a blue sky day & the Lippo towers making a mini appearance in the back. 5. Cotton Candy Buildings: Hong Kong is famous for its colourful buildings. This candy-painted one is located in the Wan Chai district, which boasts many of HKG’s Instagram-famous structures. 6. Food Contrast: One of Hong Kong’s many Local Food & Wet Markets. Captured in Wan Chai. 7. Blue House: One of the few remaining balcony houses of its kind, Blue House is a 4-storey historical icon. Every part of the structure is pleasing for the gram! 8. Golden Hours: Bridges in Hong Kong are a good place to capture the beautiful Golden Hours it has to offer. Wan Chai, Admiralty & Mong Kok are cool bridge spots! 9. It’s A Colourful World: Located in Choi Hung Estate, this basketball court is dubbed as the Instagram Playground of Hong Kong. A must visit for both local & visiting photographers. 10. More Hong Kong, More Life: The city is more than just colourful buildings and golden hours. Mong Kok & Yau Ma Tei are amazing districts to visit, where you are guaranteed to find some memorable shots of all kinds! And also get a glimpse of the broad Hong Kong culture. 11. Rooftop Heaven: Car parks are another great way to explore the city & capture moments like these. The key: patience, whilst you wait for a red taxi to pass by. Head to the Wilson car park next to Temple Street, Mong Kok for this shot. 12. Rooftops Galore! 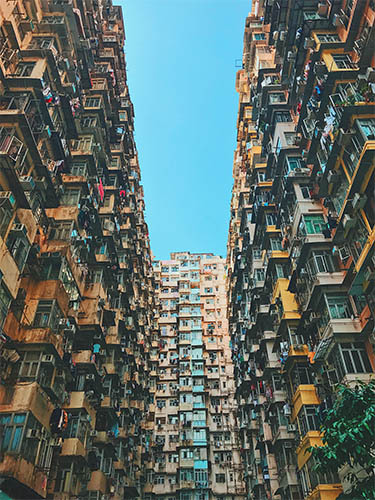 : Featured in the most thrilling videos gone viral, Hong Kong’s rooftops offer incredible shots. This one was taken from the roof of 159 Tai Nan Street, Sham Shui Po - good luck getting to the top & be safe! 13. Taxis & Crossings: A classic shot. Don’t look too hard for this! 14. The Kowloon Blue House: Kowloon Side’s Kwun Tong district also boasts some Insta-worthy spots. 15. Causeway Bay: A must visit neighbourhood of Hong Kong. This district has changed a lot over the years and now looks a lot like New York’s Times Square with a colourful building or two.